“Heleen is one of those talents who compares to the exquisite artistic excellence of British-born cellist Jacqueline du Pré”. Quirky Master Pieces, Mike Nettmann, Bay Chronicle, 2012. Solo Recital, Aroha Music Society, Turner Centre, KeriKeri, with Terence Dennis, March 2012. Works by Beethoven, Debussy and Britten. “The recital set a high standard of performance for the very large audience of students and classical music devotees. “…leisurely passages drew the listener to the beauty of resonance of the one instrument and the variety of accompanying textures and melodic agility of the other”. Lunchtime concerts open in style, Elizabeth Bouman, Otago Daily Times, 2012. Solo Recital, Marama Hall Lunchtime Concerts with Terence Dennis. March 2012. “The Southern Sinfonia, under the direction of Hamish McKeich and with guest pianist Deidre Irons, produced a highly successful concert in the Regent Theatre on Saturday. Excitement and energy on stage, Otago Daily Times, 2012. Romantic Grandeur, Regent Theater, Dunedin. As principal Cellist of Southern Sinfonia and soloist in Brahms concerto for piano with Deidre Irons, piano and Hamish McKeich, conductor, March 2012. “Sonata for Cello and Piano (2010) by one of South Africa’s leading composers, Peter Klatzow, received its New Zealand premiere last week, by du Plessis and Dennis, at the Nelson Winter Music Festival. Big house treated to “Cello Matinee”, Otago Daily Times, Elizabeth Bowman, 2012. A Cello Matinée, Marama Hall Lunchtime Concerts, Peter Klatzow Sonata for Cello and piano with Terence Dennis, Michael Haber (USA) and Cellists of Otago. Marama Hall, Dunedin. July 2012. About the Arts with Mike Nettman, Bay Chronicle, March 22, 2012, Recital Keri-Keri, NZ. Sonatas by Beethoven, Debussy and Britten with Terence Dennis. 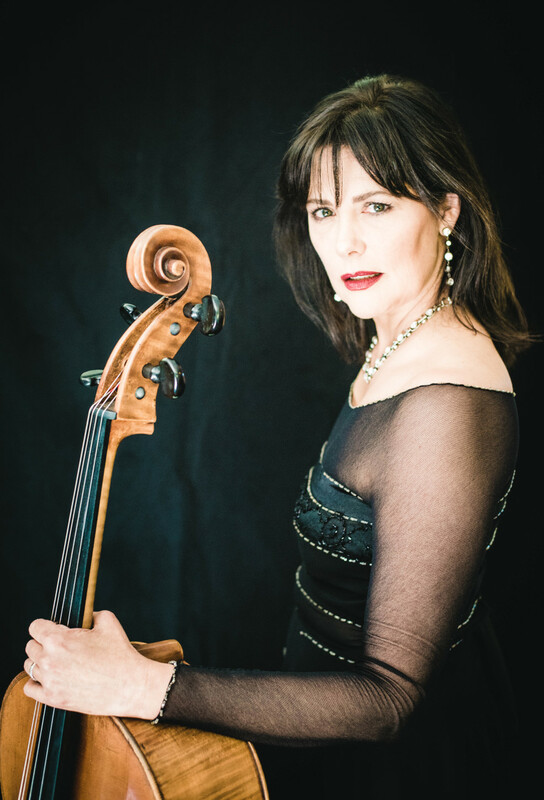 “Special praise is due to cellist Heleen Du Plessis, whose interplay with Diedre Irons contributed significantly to the work, which won exuberant cheers and stamping from the audience”. St Paul’s Cathedral, Otago Festival of the Arts, Dunedin. Otago Daily Times. October 2010. Musaion Hall, University of Pretoria. Beeld. December 2009. “Intensity, desolation and a variety of other emotions were expressed, demonstrating the Russian composer’s ability to create a strangely other-worldly sound. As a whole the performance was filled with detail, sound colour and dynamic extremes.” Musaion-Trio – Zanta Hofmeyer (Violin) Heleen Du Plessis (Cello) and Malcolm Nay (piano) as well as guest violinist Jacques Fourie and violist Elmarie van der Vyver. Arts Festival in Potchefstroom, Aardklop, Conservatorium of the North West University, Potchefstroom. Beeld. August 2009. “In the Cello Sonata no.2 in F Op.99, the mutual influence between Du Plessis and Nay was extraordinary constructive and inspiring. Heleen’s performance penetrated deep into the work in an idiomatic way and was illuminated with ample sound production.” “The Musaion Trio with Zanta Hofmeyr (violin), Heleen Du Plessis (cello), and Malcolm Nay (piano) proofed how profound balance, vigorous power and colour can be used to achieve harmonic and melodic expression.” “In the Brahms Trio nr. 3 in C the best characteristics of each player forged together: buoyancy and melancholy blended with humor, fierceness, charm, depth and tenderness. An almost ideal coherence of all elements was reached.” Musiaon Trio with Zanta Hofmeyr violin, Heleen Du Plessis, cello and Malcolm Nay, piano. Atrium Hall at the University of the Witwatersrand. Beeld. 2004. Endler Hall, Conservatory of Stellenbosch, Cape. Die Burger. 2004. Atrium Hall, Witwatersrand University, Johannesburg. Beeld. 2004. The Enoch Sontonga Conference Hall, Unisa, Sunnyside, Pretoria. Pretoria News. 2003.